Mike Laver and Warren Mackay are making a Pacific Ferry journey in N696CM, the very last built Mitsubishi MU-2 Marquise. Mike is delivering the plane for its purchaser, Phillips Search and Rescue to its ultimate destination in Hamilton, New Zealand. 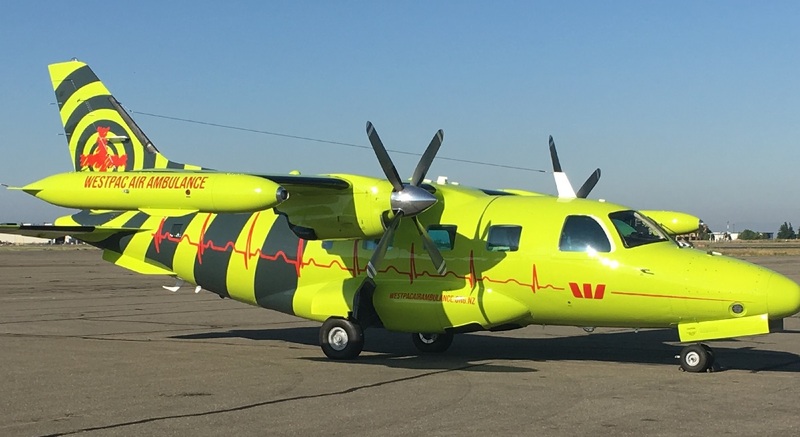 This will be familiar territory for Mike as he made six previous ferry flights across the pacific when he was establishing his MU-2 fleet for his Air Charter Company Great Western Aviation Pty Ltd in Perth, Western Australia in the early 80s. Mike and Warren will be departing from Aiken and making stops in Tulsa, Ok, Merced, CA, Santa Maria, CA, Hilo, HI, Pago Pago, American Samoa, and Auckland, New Zealand. If you would like to follow Mike and Warren on their journey, check out Mike's Pacific Ferry blog and track their progress as they make their way across the pacific.